1. Choose a key concept from your lesson to be the topic of your exit slip. 2. At the end of class post the prompt for students to respond to. 3. 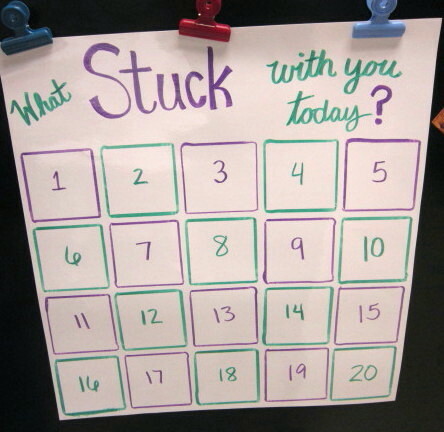 Hand out slips of paper, post-it notes, or notecards for students to write on. 4. As students leave the room collect their exit slips. 5. Shortly after the end of class read the responses on the exit slips and determine how the answers can impact your next lessons. There are many ways to organize exit slips. 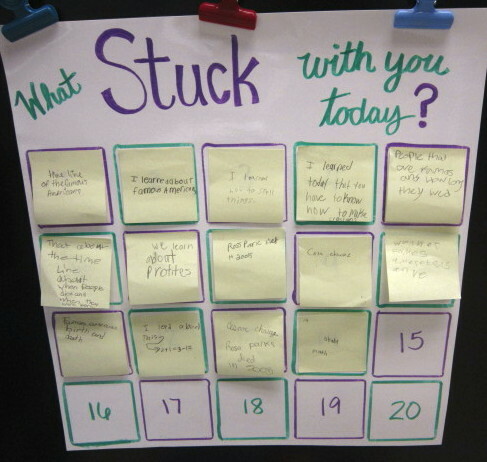 Here is one example using post-it notes from teach-from-the-heart.blogspot.com. What are the three most important things you learned in class today? One a scale of 1-5 (one being not confident) how confident are you about the material we covered today? What part was challenging? How does what we learned today connect to something outside of the classroom? Choose one word from today’s lesson. Why did you choose that word?